In prehistoric times water from melting glaciers cut a wide valley between the bluffs of the Mississippi River to form a broad flood plain. On it French explorers, traders and missionaries found a large and well-established Fox Indian village. 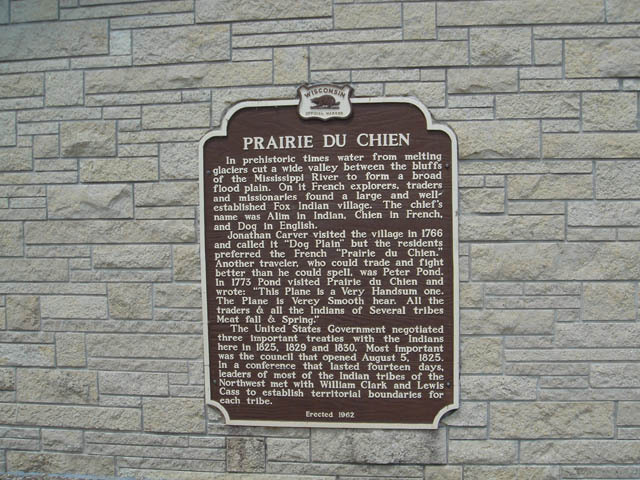 The chief's name was Alim in Indian, Chien in French, and Dog in English. The United States Government negotiated three important treaties with the Indians here in 1825, 1829 and 1830. Most important was the council that opened August 5, 1825. 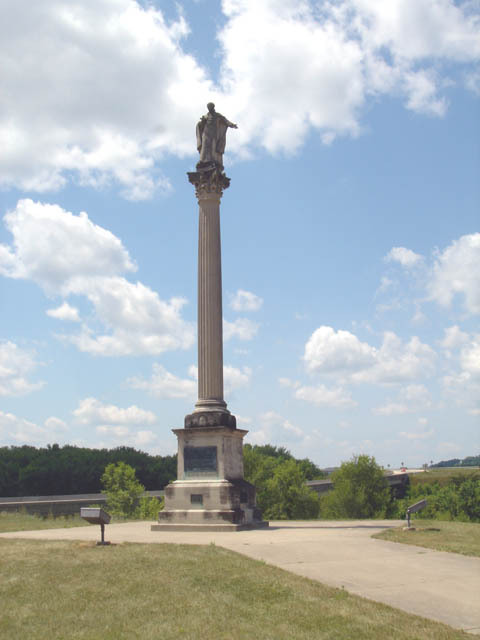 In a conference that lasted fourteen days, leaders of most of the Indian tribes of the Northwest met with William Clark and Lewis Cass to establish territorial boundaries for each tribe.